February 24 from 3:00 to 5:00 p.m.
• enjoy a free sundae bar sponsored by Ben & Jerry’s. Roosevelt Wilson Park was identified by the community during the Davidson Public Art Master Plan, adopted in 2016, as the next space to place public art. The DPAC put out a national call for artists in February 2018. After an extensive selection process, the commission selected artists Luke Crawley and Quincy Owens. Examples of their prior work can be found on their website: www.owensandcrawley.com. “We are excited for the public to meet the selected artists and provide input on the next public art project in Davidson,” said Davidson Public Art Commission Chair Sherry Nelson. 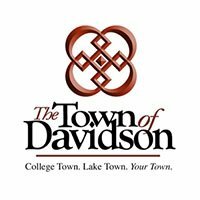 After receiving input from the public in February 2019, the artists will return to Davidson in April to present their final plan for Roosevelt Wilson Park. “We hope to finalize all of the details by June and construct the project in the fall of 2019,” said Nelson.